Comfiest beds ever! Beautiful design and great staff! Amazing services and an all around perfect stay! Very roomy and comfortable, it is a new property so they are ironing out some things but the property manager was very helpful and accommodating. If you are in Ottawa for an extended stay would definitely recommend. Especially positive is the same lady looking after the breakfast. 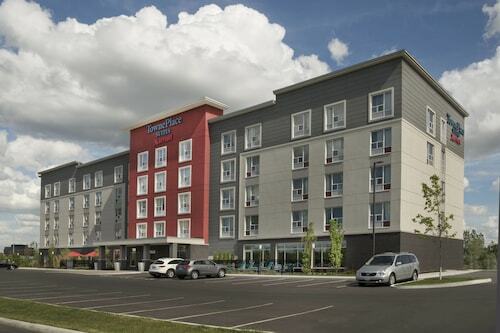 The only affordable hotel in Kanata. The rooms are nice and clean. Location is central and close to the mall. Hotel was easy to find, and very close to our destination of the Canadian Tire Centre. Stayed at hotel because of excellent location to the Canadian tire center( hockey game) . 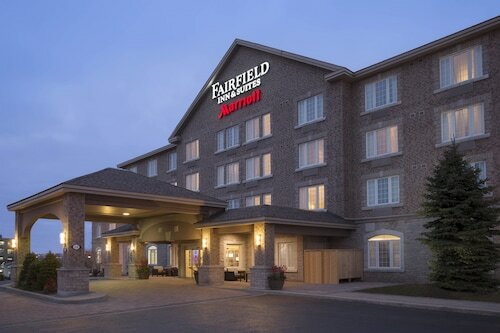 My wife and I stayed at this hotel to attend an event at the Canadian Tire Centre. Canadian Tire Centre is located in a welcoming area of Kanata known for its array of dining options and sporting events. 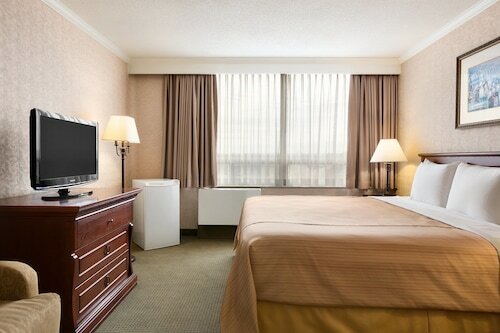 Kanata is home to 11 hotels and other accommodations, so you can find something with the amenities you're looking for. Now that you've visited Canadian Tire Centre, you can explore everything there is to see and do within a couple miles of the area. Tanger Outlets and Bell Sensplex are some sights worth a visit in the area. Spend some time checking out Algonquin College, which is 8.9 mi (14.2 km) from Canadian Tire Centre, or make a stop by Kanata Centrum Shopping Centre, located 1.2 mi (1.9 km) away. Marvelous Big Two Bedroom Unit at Britannia Beach! Flights from John C. Munro Hamilton Intl. to Jean Lesage Intl.